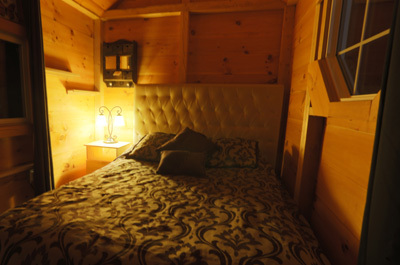 When you book a room or cabin at Footprints private adult resort, you aren’t just getting a room. 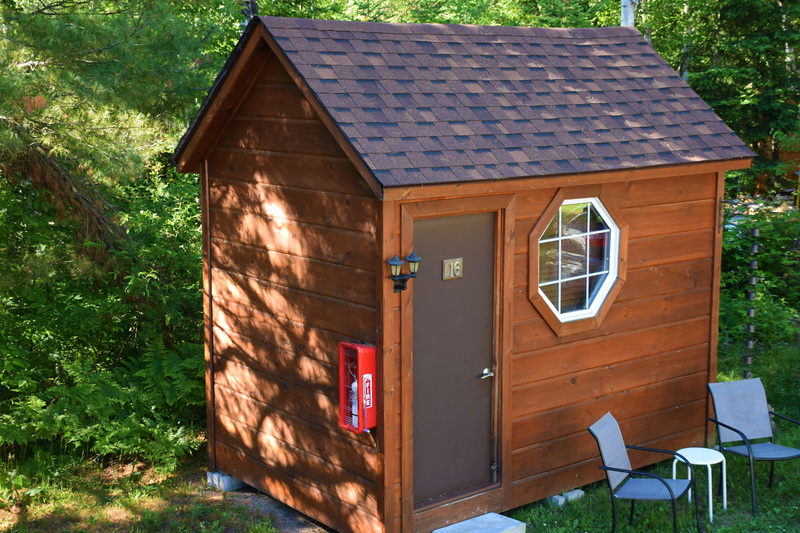 The entire grounds and everything on it are included! 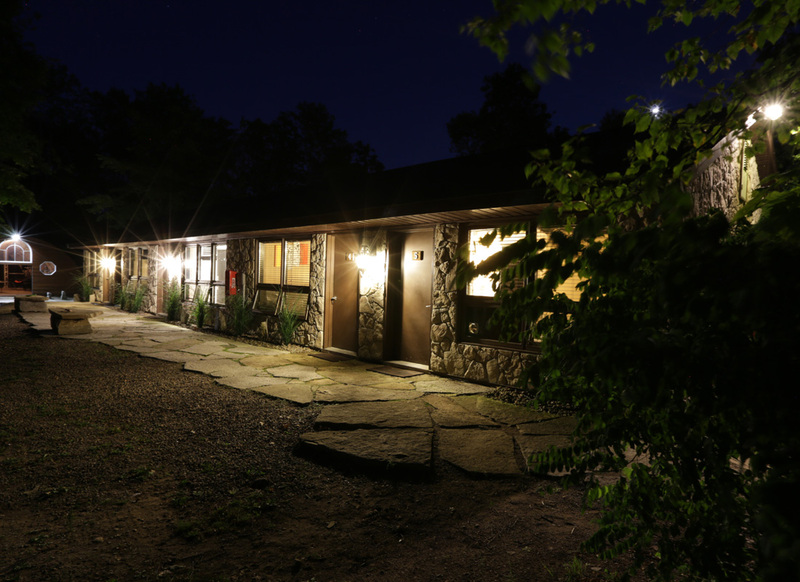 That means all guests are invited to spend as much time as they wish in the communal Lounge, Cabana, the Dome, on the beach, on the lake, or by the campfire. Check out the bicycles to ride the trails or go for a hike around our lake. Use the BBQ’s and/or kitchen to cook delicious, healthy meals. It’s all yours! 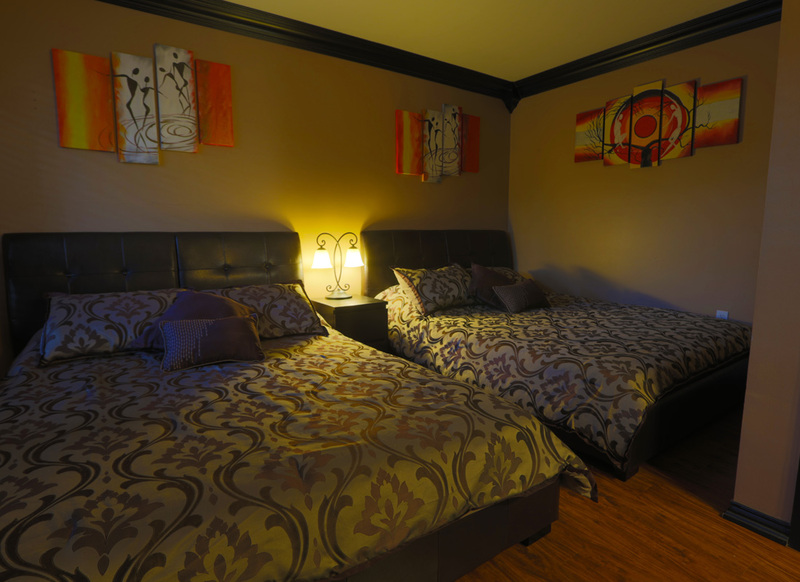 Our premiere accommodation features a corner tub with jets, fireplace, queen bed and a large screen TV plus all the amenities of our deluxe rooms. Complimentary robes, champagne and chocolates are included for the perfect romantic getaway. Our Cedar Villas are a perfect option for those who wish a little more distance from your neighbors while vacationing at Footprints Resort! 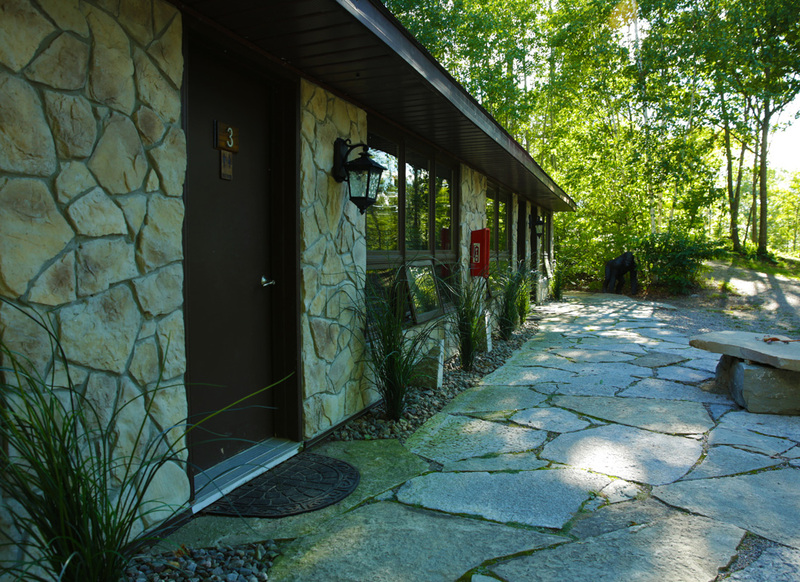 Secluded at the top end of the property, with a romantic backdrop of greenery and set apart from the other accommodations for a more private setting, they have all the amenities you would expect from our resort. Each shaded Villa has it’s own private porch where you can take a seat and enjoy a view of the resort, and has it’s own BBQ when it’s time to cook up a feast. Each Villa has a comfortable King bed complete with linens, a fridge with freezer and plenty of drawers for storage. And as an added bonus, each has it’s own private, 2 piece powder room. Shared shower facilities are nearby, and all the resort has to offer is included, as always! 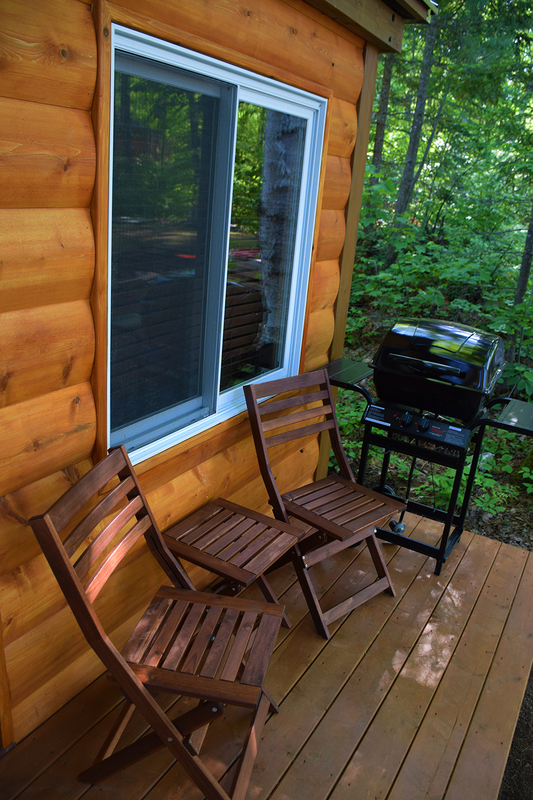 Enjoy the scent of cedar as you relax in your own private space. A number of deluxe rooms are available, all with fridge/freezer, microwave and coffee maker, each with their own private, 3 piece bath. 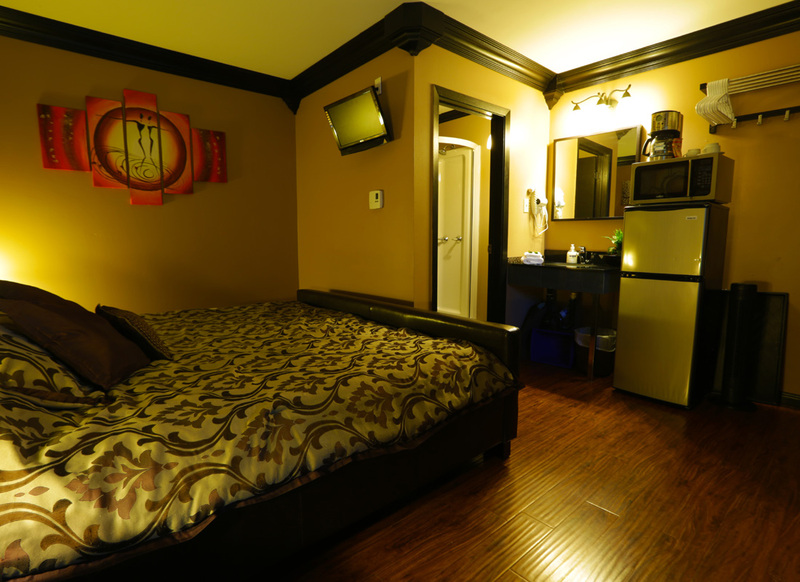 Each room is equipped with either a King bed or 2 queen beds. Specify your preference when booking. 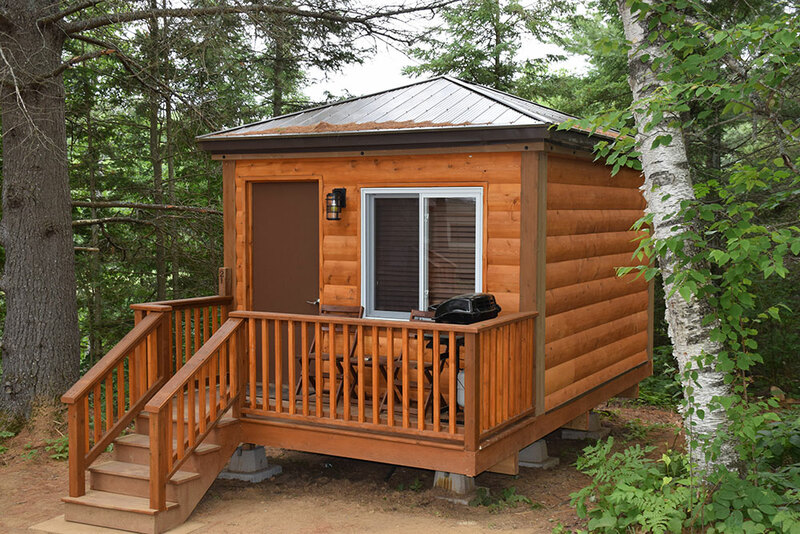 Our cozy cabins are beautifully appointed and provide comfort and security to our budget-minded guests. 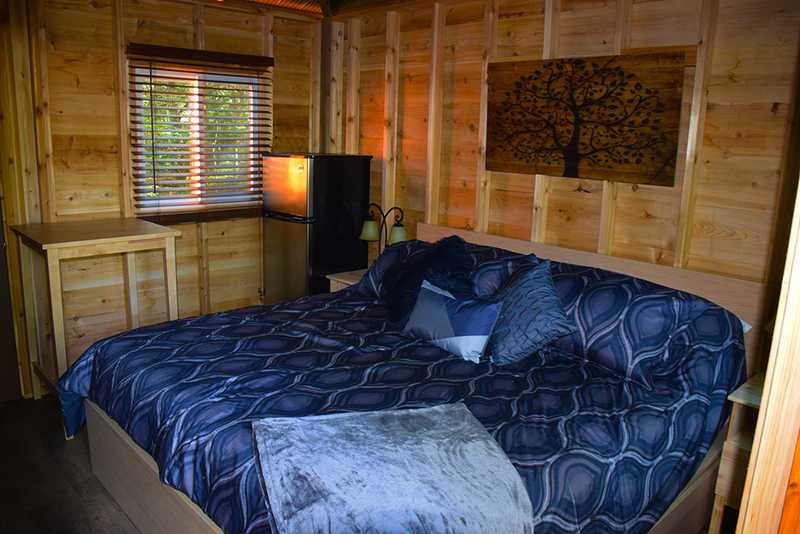 Each cabin has a comfortable queen bed with fresh linens, and a mini fridge to keep food and beverages chilled, as well as personal seating right outside their door. Shared washroom is just across the quad. Camping is also an option at Footprints, although we aren’t a campground. 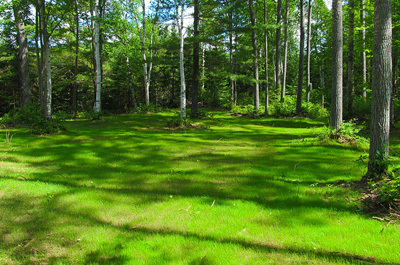 We can accommodate tents and campers along with a limited number of RV’s. No dumping station on the grounds, there is one 5 minutes away for a minimal fee. We will try to accommodate electrical hookup for those who need it. Shared washroom is close by. Check out is 11am, check in is after 3pm. We can accommodate late check ins, just let us know when to expect you so we can leave a light on! If you arrive before 3pm on the day of your reservation, you can enjoy the beach and the grounds after check in, but your room may not be ready until after 3pm. While our Boutique Resort does not have a full time reception desk, our staff will be happy to help you in the Lounge to get you registered and settled.